Jackie Hammond (Producing Artistic Director and Resident Vocal Director of Musical Theatre of Anthem) is an ariZoni award-winning Musical Director who has received 11 ariZoni award nominations and 3 NYA award nominations. She has been teaching music and theatre for over twenty years. She graduated with honors from San Jose State University where she majored in Creative Arts and minored in Musical Theatre. 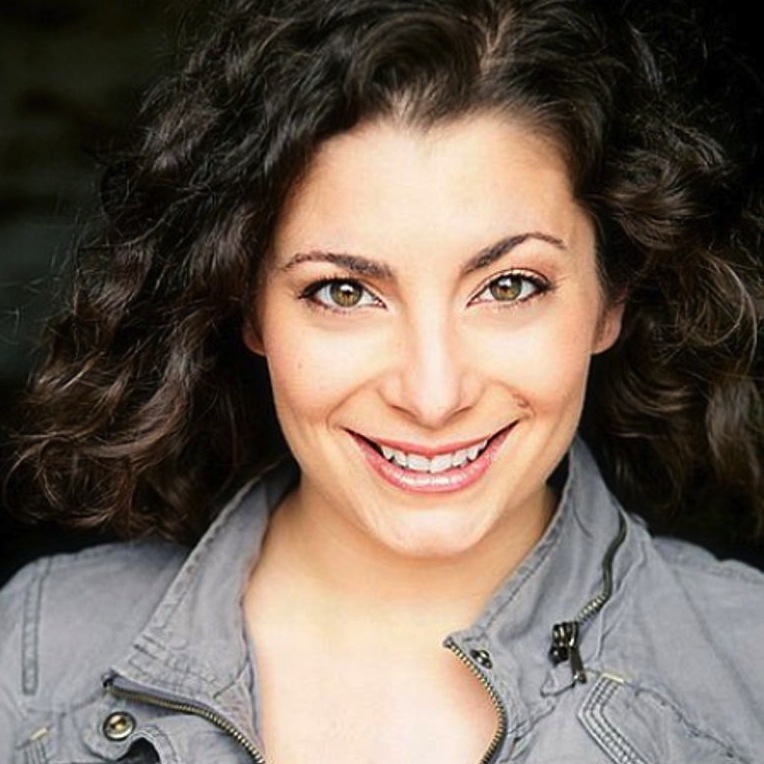 Jackie is a graduate of the American Musical Theater Artists’ Institute where she rigorously trained in voice, dance, and acting, as well as Shakespeare, improvisation, and stage combat. Jackie has vocal directed, directed, and choreographed for many theatres in California and Arizona, including one of the nation's largest youth theatres in San Jose. Directing and performing experience includes well over seventy shows to her credit. She has extensive experience in the performing arts and professional theatre where she has played leading roles in many musical productions, and has also received an ariZoni nomination for her portrayal of Cinderella in Into the Woods. Other favorite roles have included Gino/Harpo Marx (Day in Hollywood/Night in the Ukraine), Lily and Miss Hannigan (Annie), Cathy (Last Five Years), and the Witch (Into the Woods). Jackie is thrilled to be involved with Just West of Broadway! Mark Burrell is a graduate of the Juilliard School in New York City and has made his Broadway debut in the First National Tour of Fosse. He is currently the Assistant Choreographer for Radio City Music Hall's Christmas Spectacular starring the world famous Rockettes. His movie debut was in the film, The Producers. Other theatrical productions include: CATS, Disney's Beauty and the Beast, Broadway for Hilary, and Seven Brides for Seven Brothers. Television credits include: CBS's Late Show with David Letterman and NBC's Late Night with Conan O'Brien. Mark has been involved in numerous industrials for such companies as Macy's Department Stores, Ford Motor Company, Intel Computers, IBM, and Tupperware. He has also worked with Susan Lucci in her one-woman show. Gregg is an Emmy nominated choreographer and has worked with such stars as: Bette Midler, Gene Kelly, The Nicholas Brothers, Michael Jackson, Gregory Hines, Kenny Ortega. He directed a commercial for Carvel Ice Cream, and has also performed with numerous music artists: Reba McEntire, Smashmouth, The B-52's, Jason Mraz. Gregg recently danced in a Volkswagon national commercial portraying Donald O'conner, and performed on ABC's "Dancing with the Stars". He also performed and choreographed on the new TV show "Mobbed", debuted a live stage show in Los Angeles with his tap company Tap Sounds Underground, and made it to the semi-finals on the CBS TV show "Live to Dance" hosted by Paula Abdul. producing "Tap Into the Network" intensives, channeling 7 different cities throughout the U.S., and writing for Rhee Gold's Dance Life Magazine. Because of his tap dancing skills, he was recruited as a Foley Artist and worked on sound effects for the feature films Newsies, I’ll Do Anything, and White Men Can’t Jump as well as the TV show 3rd Rock from the Sun and numerous commercials including Perrier and Payless Shoes. Future endeavors include performing at Madison Square Garden for the New York Knicks, traveling to New York, Detroit, St. Louis and France for international tap festivals, and working on a new TV dance show debuting in 2014! Suzy Guarino has been busy in the dance and entertainment business for more than 20 years. Originally from Chicago, she now resides in Phoenix AZ. She has appeared in print work, industrial films, and numerous commercials for companies such as Mc Donald’s, Osco Drugs, Six Flags, Cox Communications, American Express and Westcor Shopping Centers. Suzy was also a spokesperson for several companies such as Sedona Patio and Leather, and Trucks Only. In the dance field, Suzy is a master tap teacher and choreographer. Suzy started her dance training in Chicago and studied at Gus Giordano and Lou Conte. She has trained with some of the best master tap teachers in the country including Jason Samuels Smith, Mark Goodman, Gregg Russell, Dianne Walker, Mark Mendonca and many others. Suzy has taught tap on the convention circuit for Dance Educator’s of America, Focus Dance Conventions, Star Systems, Mark Goodman’s Totally Tap, Dance RAW and N-House Productions. This fall, Suzy will be touring with The In10sive workshops with Tap Unplugged. She is also a regional and national dance competition adjudicator for Spotlight Dance Cup, In10sity Dance and Star Systems. She has done choreography for several benefit shows for theJuvenile Diabetes, Caitlin Robb Foundation and Mercedes Benz. She’s the owner of a tap production company called Rhythm Essence Productions. Her tap group, Tap 24.7, has done numerous guest performances for different events and concerts, as well as several tap festivals. She enjoys teaching around the country as a master tap teacher to many studios, and inspiring tap students of all ages. Her choreography is rhythmic, energetic and cutting edge while mixing in modern music. She excels as a teacher, understanding many levels and breaking down steps and technique that is easy to understand. Suzy teaches in Phoenix at Bender Performing Arts and does tap choreography for their company, Dance Motion. Tre is a tap dancer and choreographer from Chicago, IL. Mr. Dumas received most of his early dance training and this first teaching experience at Tommy Sutton's Mayfair Academy of Fine Arts on Chicago's south side. He's a graduate of Clark Atlanta University with a B.A. in Mass Media Arts with a concentration in Speech and Theatre Arts. Since 1995 he's taught and performed regularly at various festivals including the Chicago Human Rhythm Project, the L.A. Tap Fest, the St. Louis Tap Festival, Maui Tap Experience, Detroit Tap Festival, Third Coast Rhythm Project, Calgary Tap Summit, Chicago Tap Summit (which he co-founded), North Carolina Rhythm Tap Festival, Vancouver International Tap Dance Festival and Columbus Taps among others. From 1998 through 2000, Mr. Dumas was featured in the North American and European tours of "Riverdance". In 2001 Mr. Dumas partnered with Bril Barrett to create M.A.D.D. Rhythms, and the M.A.D.D. Rhythms Tap Academy from September 2001-February 2002, Mr. Dumas lived in Stuttgart, Germany, creating an all ages/all levels tap program at the New York City Dance School, and performing at jazz and R&B clubs by night. In 2004 he performed Duke Ellington's classing "David Danced" (originally danced by Dr. Bunny Briggs) with Bill Russo, Orbert Davis and the Chicago Jazz Ensemble. In the summer of 2006, he portrayed a fiery tap dancing preacher in the vignette "Dance Like David" in director/choreographer Derick Grant's "Imagine Tap", and co-starred with Dormeshia Sumbry Edwards in the critically acclaimed independent film "The Rise and Fall of Miss Thang". He was also seen on the only aired episode of Secret Talents of the Stars dancing with R&B songstress turned tap dance, Mya. In 2007, Mr. Dumas stepped down from his position as M.A.D.D. Rhythms co-artistic and technical director and also became a member of Jason Samuels Smith's ACGI. Shortly thereafter, he created Chicago's most musical professional tap ensemble, Jus'LisTeN. Most recently, Mr. Dumas accepted a position as an associate director with the Chicago Human Rhythm Project. He's taught and performed extensively throughout the U.S., Canada and Germany as well as other parts of Europe and South America. In October, 2011, Mr. Dumas proudly debuted his first full production featuring Jus'LisTeN entitled, "Tap Like Water" as part of the annual Dance Chicago performance series. Aside from his beautiful daughter, Lauren, his greatest joy lies in dancing and sharing his love and knowledge of his art form with others and receiving the same as well.